Cindy will deliver a 1-½ hour workshop on Participant-Centered Instruction. Participants will experience how this approach to learning is more enjoyable for learners, increases retention and the ability to do one’s job more successfully. This style of instruction takes the ordinary and making it extraordinary while ultimately improving organizational performance results – to Kirkpatrick’s Level 3 and 4! Cindy is the President and owner of the Power of the Pink Lines (participant to participant learning) where she has trained thousands of employees including those at the Mayo Clinic, Pepsi, British Petroleum, and HP. Previously, she was a Vice President at the Bob Pike Group (ATD renowned presenter). Her clients praise Cindy on her ability to motivate and energize employees in the learning process. 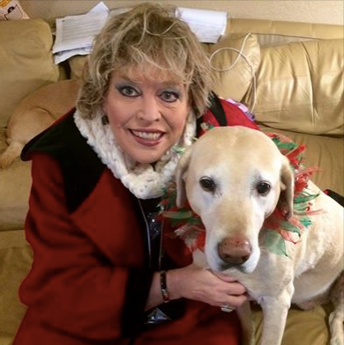 Note: Cindy will be presenting with Indy, her service animal and therapy dog, who engages in the learning environment.